Bulk Ammo | Ammo & Bullet Mfg. Inc.
Is your military unit planning to stockpile bulk ammo for a series of critical ground operations? Do you intend to order bulk ammo for your local department’s newly procured batch of firearms? Are you looking for a dependable ammunition manufacturer that can provide you with top-quality bulk ammo? If you answered yes to any of these questions, Ammo and Bullet would be more than honored to serve you. We are a trusted supplier of high-grade ammunition that is meticulously developed by experienced and quality-conscious professionals. 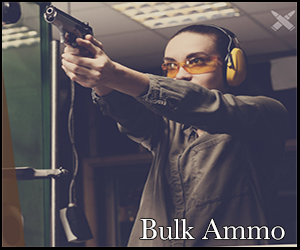 Also, we provide bulk ammo to several customer segments, including the police and military. There are many benefits that come with purchasing bulk ammo. For instance, ordering bulk ammo can save you a considerable amount of money. In addition, purchasing bulk ammo can also give you peace of mind knowing that you are well-equipped for any unexpected situation. Ammo and Bullet would like to share with you some reasons why ordering bulk ammo has a clear edge over smaller shipments. Click here to read why U.S. feds are buying 100 years worth of ammo: https://www.wnd.com/2013/03/feds-buying-100-years-worth-of-ammo/. Practically any product that is purchased in bulk results in a lower price per unit as opposed to buying the same quantity individually or in smaller batches. Given the relatively high cost of ammunition, getting bulk ammo certainly makes sense from a financial perspective. Another factor that comes into play when purchasing bulk ammo is inflation. If you are able to finalize a bulk ammo arrangement just before market prices surge, then that is considered a huge win. However, please be wary that ammunition prices may fluctuate based on supply and demand, so this is something that you should monitor. Standard ammunition can easily be procured from manufacturers. On the other hand, there are certain calibers that are only in stock at certain times. Whenever they are available, you might be forced to cough up an astronomical sum due to the demand. Whenever we have a relatively high supply of rare ammunition that you need, we encourage you to make an immediate bulk ammo purchase. The financial savings you will enjoy with bulk ammo orders are not just the result of a lower price per unit. Transporting ammunition costs money, and bulk ammo purchases drastically cut down the amount of shipment required. This is a solid indicator that procuring large quantities of ammunition is an economically sound practice. Whether you are ordering bulk ammo for the United States Navy SEALs or the Los Angeles Police Department, Ammo and Bullet is fully aware of your role in national security. We take pride in serving the brave men and women who courageously fight for our safety. Can the Quality Match the Quantity in Bulk Ammo Purchases? When it comes to ammunition, a single defective round could spell the difference between life and death. One common concern with bulk ammo orders is that there is always a possibility of diminished or even defective quality. With Ammo and Bullet, that is not an issue because we will never compromise quality under any circumstances. If you purchase bulk ammo from us, you can be assured of a highly rigorous quality control process. From precise laser sensors to random sampling, the possibility of a defective bullet getting past us is virtually close to none. As modern-day heroes, our law enforcement and military personnel deserve to be equipped with world-class bulk ammo. By choosing Ammo and Bullet, you will not only have the amount of bulk ammo you need, but you will also be confident that every bullet has been manufactured with extreme care and precision. Look no further than Ammo and Bullet if you need the right ammunition maker. We can customize ammunition based on your specific needs. Are you looking for the right ammunition maker? Look no further than Ammo and Bullet. Call us at (888) 407-0240 or visit our contact page to place your orders and to learn more about our products. We are available from 9AM to 5PM. Partner with us, and we’ll help you get reliable ammunition.